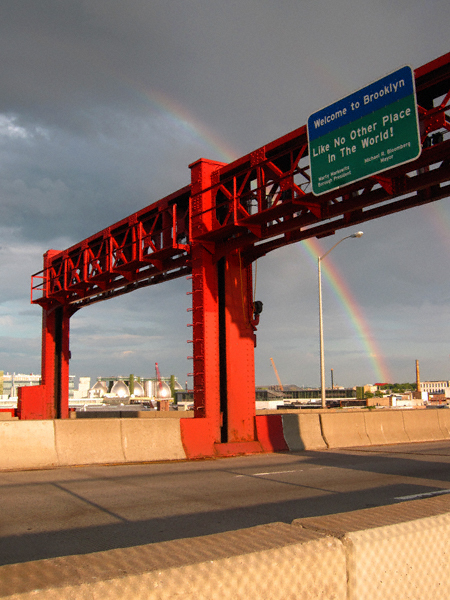 Greenpoint Photos Du Jour: Like No Other Place In The World! 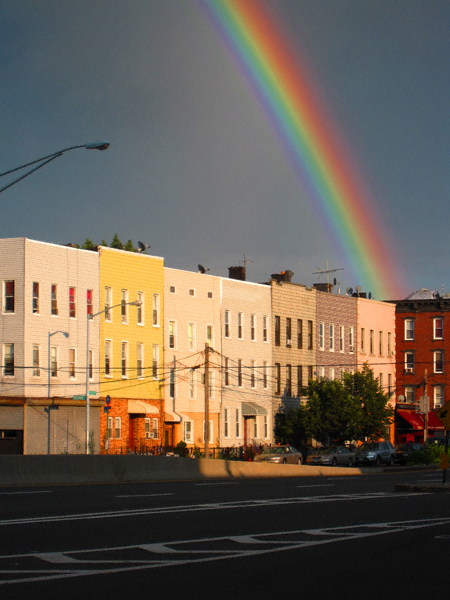 8 Comments on Greenpoint Photos Du Jour: Like No Other Place In The World! The rainbow made all those days of rain so worthwhile. That’s amazing! I am so sorry I missed it! I agree with Spill Conspirator: this and the amazing clouds last night have made all the rain kind of worth it! If you want a higher res jpg, kgreg, I’ll gladly send you one. Shoot me an email at: missheather (at) thatgreenpointblog (dot) com and give me a size. Perhaps 8×10? That top photo is the next great postcard from Brooklyn. Seriously, print some up and sell them at some flea market. I’d buy a few to send out.